Tomorrow I’m talking about the magic of place in historical fiction at the Winchester Writers’ Festival. 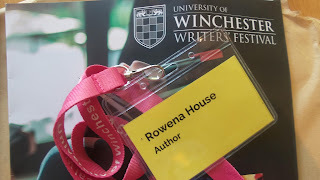 It’s a big day for me as this festival helped me no end to achieve my ambition of becoming a published author, with notes I took from talks by such luminaries as Beverley Birch, Sarah Mussi and Lorna Fergusson still treasured possessions. It was there I first heard about the Society of Children’s Book Writers and Illustrators and the Bath Spa MA in writing for young people – both of which remain key supports as I move on from my WW1 debut, The Goose Road – while the energy and comradeship of fellow wannabees kept me going when my resolve flagged. Thus I owe a lot to Winchester, and want to pay that back a little by giving as good a presentation as I can. Where, then, to start? Since this is a writers’ conference, I’ll begin with the particular value of getting historical places ‘right’ from the novelist’s point of view. Place, for me, is the third pillar of story: a solid, knowable anchorage in the storms of imagination. The first two pillars, plot and character, are grounded in place; it is where the story plays out and influences behaviour, thoughts, emotions and events. Creating credible settings is a core skill for any writer, and also a tool of our trade: a mountain is an obstacle, a secret hideaway the protagonist’s haven from the villain. For historical fiction, where authenticity is one of the few conventions in an otherwise sprawling genre, place offers additional benefits, too. First, it is made of the same stuff as now: stone and earth, water and weather. Artefacts come and go, materials too (think of pewter and plastic) but hills and rivers, coasts and even settlements remain. Second, and perhaps more importantly, human beings have, since time immemorial, shared a common anatomy, including the nervous system. You and I experience heat and cold in the same way as Odysseus. Climbing over the Alps takes more effort than walking along the shore, just as it did in Hannibal’s time. Hunger gnaws the same way today as it did during ancient famines. We cannot know the mentality of the past half as well – a fraction, even – as this shared physicality, this visceral, sensory awareness. When we describe a character’s subjective experience of place with apt, original and evocative language, we do so with veracity. For people who don’t write historical fiction this veracity might seem trivial. But anyone who’s researched the past will know that almost everything about it is contested – from the partial, biased accounts of history’s ‘winners’ to who has the right to retell the stories of marginalised, misunderstood or forgotten ancestors. Thus any certainties are to be cherished. Tomorrow I’ll mostly be talking about realistic historic fiction, rather than fantasy or genres such as historical romance where accuracy about setting isn’t the point. Yet even at the less literary end of things, place sets the tone. Open your story in a woodcutter’s hut in a Germanic forest and immediately we know we’re in the land of folklore. Put a beautiful French chatelaine by a mullion window, and a reader will get pretty hacked off if she doesn’t end up in bed with the handsome knight who’s trotting past her castle on his way back from the Crusades. In my own historical writing I’m persuaded by the argument that place is best seen (and felt, smelt, heard and tasted) through the protagonist. In my first person narratives, place is therefore subjective, with world-building done through hints and snippets of salient detail, the sort of small things which would be noticed by that kind of person at that point in their lives, and in the particular state of mind the reader finds them. There are, however, very good reasons for writing about place in other ways, too. “The North is the dark place. Wow. I love it. No one could doubt for an instant from this description of place that a dark, witchy tale is about to unfold. “Thick cloud had pressed down on Berlin all night, and now it was lingering into what passed for the morning. On the city’s western outskirts, plumes of rain drifted across the surface of Lake Havel, like smoke. Personally, I think you have to trust that Harris’s story will get better – which it does. Admittedly, I am a huge fan of Hilary Mantel’s poetic prose in Wolf Hall and Bring Up the Bodies. I used to devour Thomas Hardy, too, and (mostly) remain wedded to literary historical fiction. But, for me, Winterson demonstrates perfectly that poetry isn’t necessary to evoke an historic place exquisitely – and hook the reader from page one. PS I’d like to thank fellow historical writer for young people, Ally Sherrick, author of Black Powder and The Buried Crown, for putting me in touch with Winchester when she couldn’t make this slot, and to Winchester for having me in her stead. Ta, Ally! 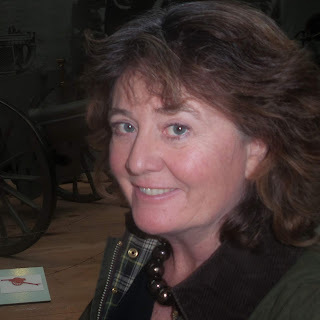 Good, thought-provoking post, Rowena, especially for anyone writing historical fiction. Many thanks. And good luck for tomorrow! Thank you, Lynne. A bit nervous about tomorrow, tbh! I did a post for ABBA about place in fiction in general last October, so this one aimed squarely at historical writers. It's good to reconnect with thoughts about place. Very apt, given the place I'm in with the work in progress.